Harriet Tubman Park in the South End honors the runaway slave who helped free others. Harriet Tubman, a runaway slave who risked her freedom to liberate others and became a leading figure in the abolitionist movement, will replace the slaveholding Andrew Jackson on the front of the $20 bill, becoming the first woman to adorn US paper currency in more than a century, Treasury Secretary Jacob J. Lew announced Wednesday. 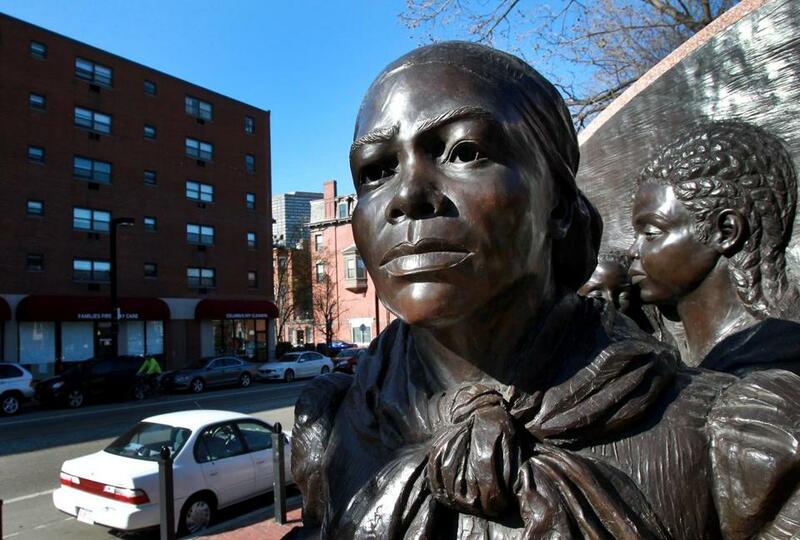 The selection resonated deeply in Boston, where a larger-than-life bronze statue of Tubman graces the city’s South End and where two of her three recent biographers live. 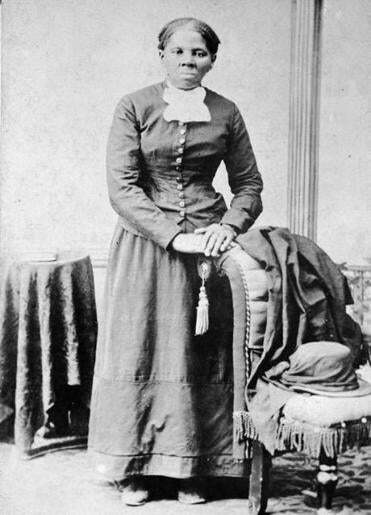 Although Tubman was born into slavery in Maryland and spent most of her free life in upstate New York, she has deep ties to Massachusetts, the center of the abolitionist movement. Lew said the move was long overdue in a nation that has not had a woman on the front of a bill since Martha Washington briefly adorned a $1 silver note in the late 19th century. His announcement marked a reversal from last June, when Lew said that a woman would replace Alexander Hamilton on the next $10 bill. Musical theater rarely finds itself in the red-hot center of policy disputes, but it’s been there recently. The national conversation that followed — generating millions of letters, e-mails, and tweets — went beyond which woman should be commemorated. 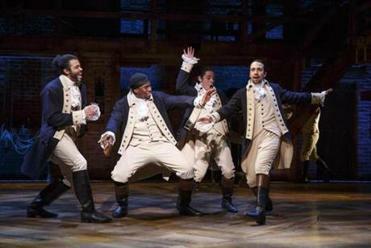 It also fueled a movement to spare Hamilton, who helped establish the modern financial system (and is newly popular because of a Broadway musical bearing his name) and instead supplant Jackson, who was not only a slaveholder but who forcibly removed Native Americans from lands in the Southeast. The new $20 bill will not banish Jackson entirely. The picture of the nation’s seventh president will appear on the back, alongside an image of the White House, Lew said. Tubman often visited friends and spoke in the Boston area and during the Civil War worked with the 54th Massachusetts Volunteer Infantry Regiment, the African-American regiment portrayed in the movie “Glory.” As part of a broader role as a nurse and field scout, Tubman served the regiment their last meal before the storming of Fort Wagner and later helped tend to the wounded and the dead. Tubman, who died in her 90s in 1913, has been featured on two US postage stamps and in innumerable children’s books. But when Larson, intrigued by a book her second-grade daughter brought home in 1993, went looking for a serious biography, she found the last had been written in the 1940s. While Tubman will be the only woman on the front of a redesigned bill, the back of the new $10 will feature five suffragists — Lucretia Mott, Sojourner Truth, Susan B. Anthony, Elizabeth Cady Stanton, and Alice Paul — and commemorate a 1913 demonstration outside the Treasury building. The back of the new $5 will feature significant moments at the Lincoln Memorial and prominent individuals who figured into them, including Marian Anderson, Martin Luther King Jr., and Eleanor Roosevelt. The redesigned bills will be unveiled in 2020 to coincide with the 100th anniversary of the 19th Amendment, which gave women the right to vote. Larson said that is appropriate, as Tubman dedicated her later years to women’s suffrage in addition to the well-being of former slaves. At Harriet Tubman Park in the South End, people were thrilled by the selection. “It’s been a long time coming,” said Tierriff White, 54, of Lynn, who was enjoying the warm weather on a park bench with his daughter. “She’s who I would have voted for,” Oliver said. Globe correspondent Olivia Arnold contributed to this report. Eric Moskowitz can be reached at eric.moskowitz @globe.com. Follow him on Twitter @GlobeMoskowitz.